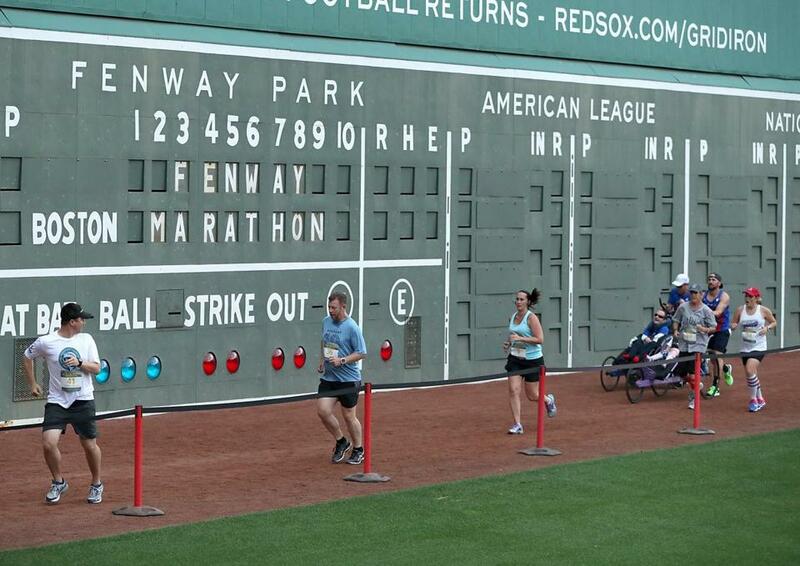 Runners take off on the first of 116 laps in the Inaugural Fenway Park Marathon. 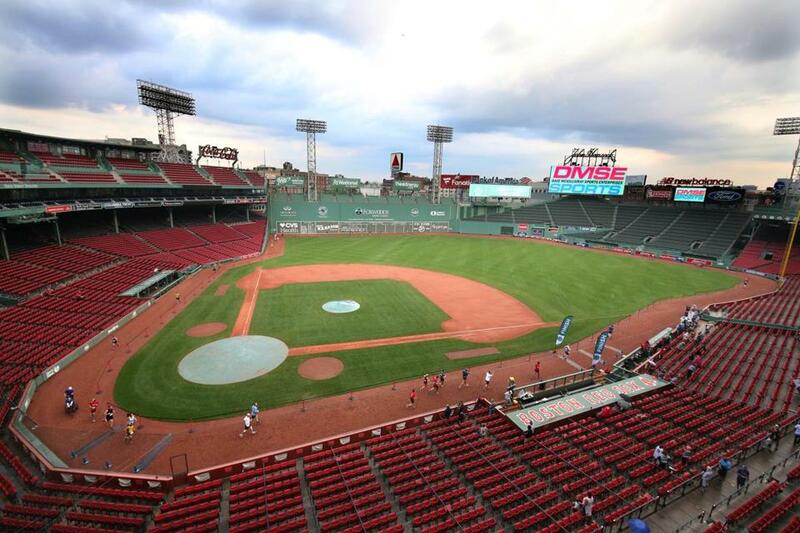 Billed as the first race of its kind to take place inside a ballpark, the 26.2-mile run consisted of 116 laps along the perimeter of the field. 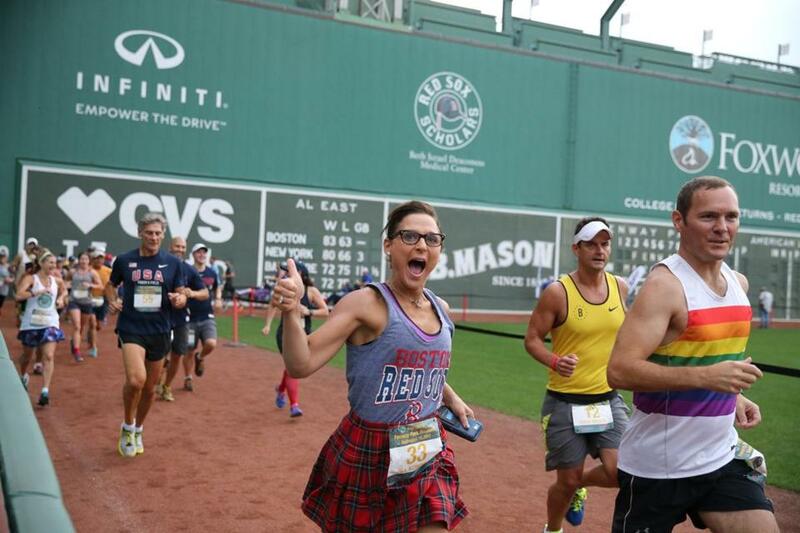 The competition was limited to just 50 runners, all of whom were required to raise $5,000 for the Red Sox Foundation. Proceeds will go toward improving health and promoting recreation for New England children. 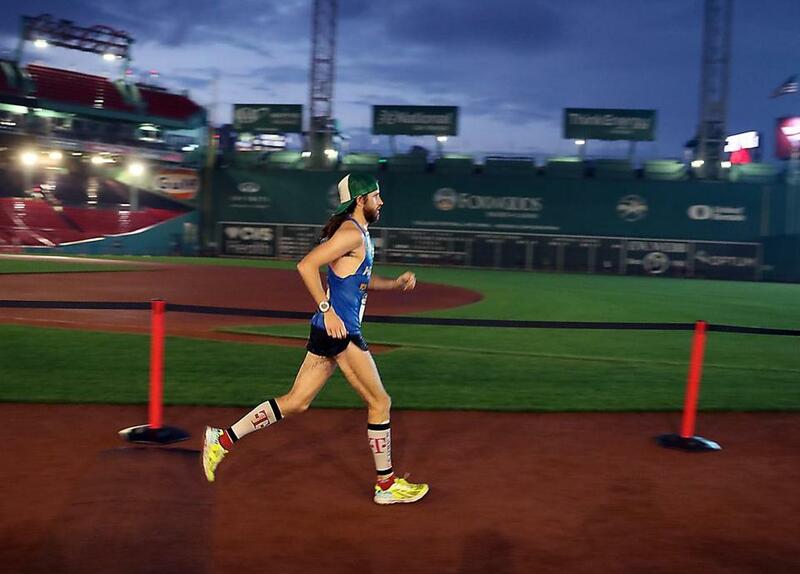 American runner Michael Wardian was the first to cross the finish line, with an official time of 2:53.52. 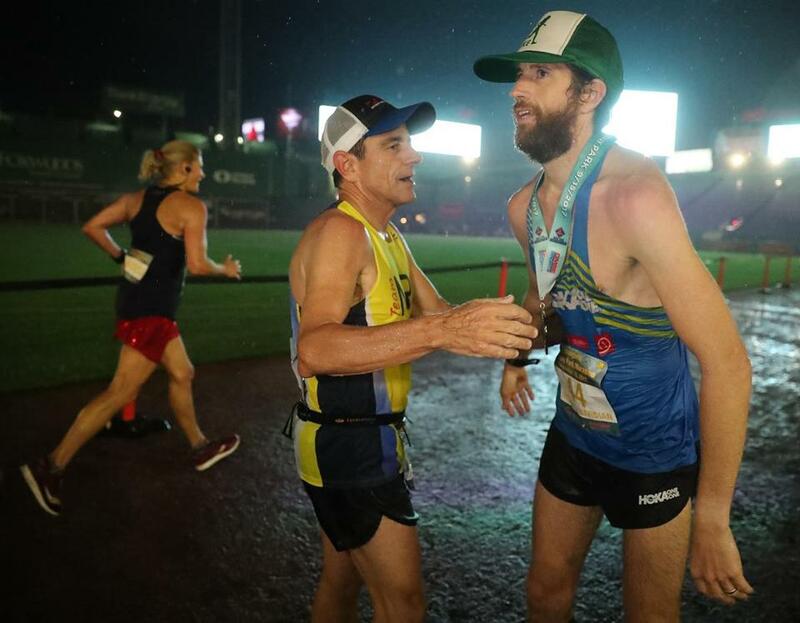 In January, the 43-year-old completed seven marathons in seven days across seven continents. 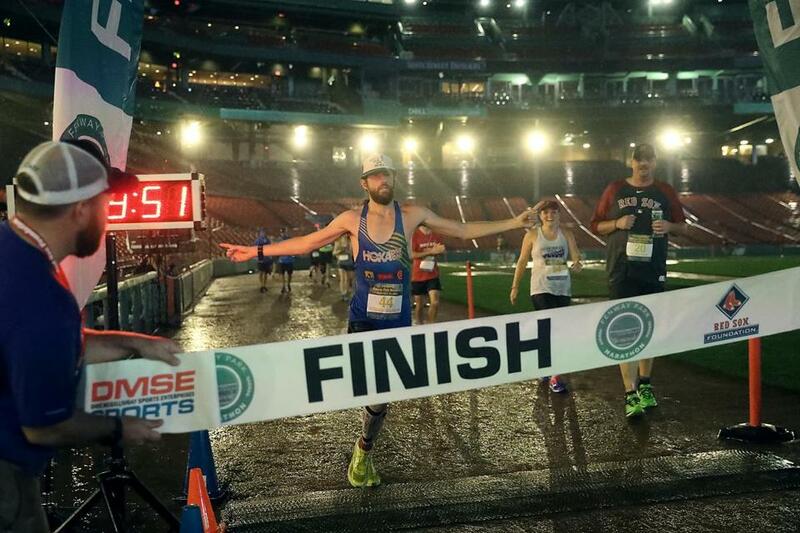 Michael Wardian was first across the finish line. Runners began the race in front of the left field wall. Runners took the long way around the bases. Dave McGillivray (center) organized the event and ran it as well. 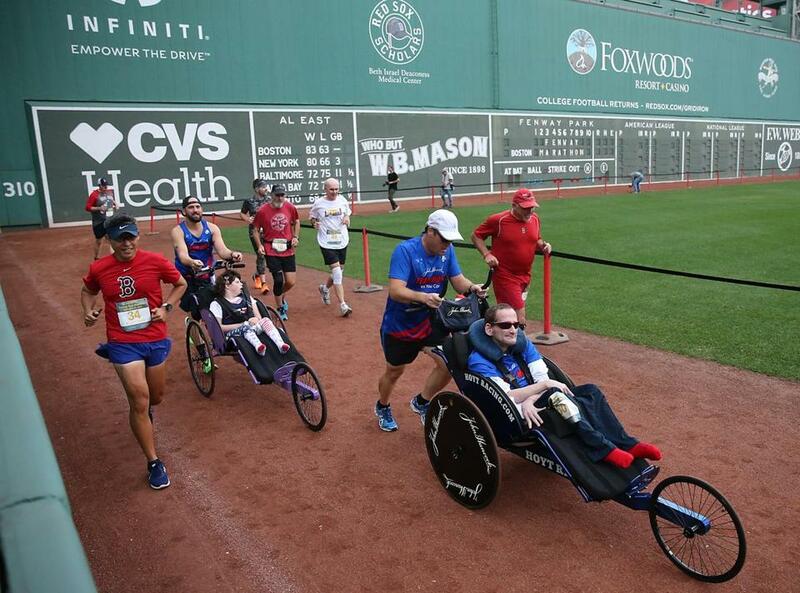 Rick Hoyt Jr. of Boston Marathon fame participated. Michael Wardian won the event with a time of 2:53:52.